Of interest (perhaps only to me) in this report–the common topic(s) of past posts that continue to bring traffic to the blog, and the fact that I posted NOTHING last year, which is pretty sad. One reason I’m posting this report of last year’s (non)activity, then, is to encourage one of my resolutions for 2014: revive the blog! It’s likely that the topic of most interest will see more post. What else will I be writing? To be determined. Suggestions welcome! Monday 6/26, we spent all day at the Victoria and Albert Museum. You could spend a week there, but we focused on the Medieval & Renaissance galleries and the special “Cult of Beauty” exhibition. Tuesday 6/27, the entire group toured Westminster Abbey in the morning, then went to a matinee of “Much Ado About Nothing” at Shakespeare’s Globe. Even those who were skeptical ended up enjoying themselves. Shakespeare FTW! Will probably take two posts to cover all we’ve done this week. Hope to get some photos in as well. Tuesday: The Tower, which I had never visited in any of my previous times in London. 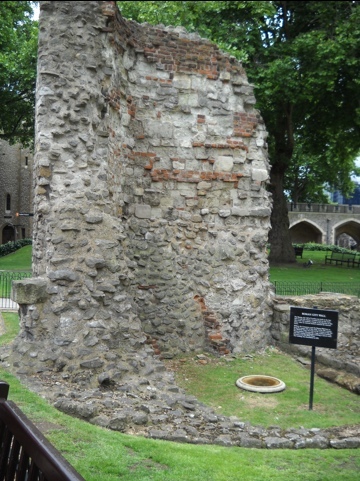 Parts of the Tower date from the Roman era to modern times, so it’s a good historical overview. The medieval and Renaissance armor is striking (not literally), and of course, it is home to the famous ravens: supposedly if they ever leave the Tower, it will fall, and London with it! Let’s not let that happen! 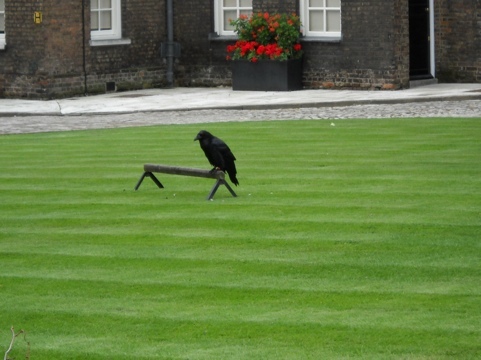 According to the Yeoman Warder who guided a large group around the main precincts and Royal Chapel, in order to ensure the ravens won’t leave the Tower, King Charles (II?) ordered some to be kept there at all times. Hm! The Tower also guards the Crown Jewels; the line (I mean, queue) to see these was about a block long and getting longer (if there had been sidewalks as such), so I skipped it, but several of the students were determined and said the line moved surprisingly quickly. Obscure fact of the day: the Yeoman Warder who inspired Gilbert & Sullivan’s The Yeomen of the Guard is buried in the chapel there. When the guide told us this, I was the only person in the crowd of about 60 who’d heard of Gilbert & Sullivan. Our group arrived Saturday morning, battled our luggage from Heathrow to our hotel by tube, which is something I would like never to do again. However, having survived that ordeal, we parked the suitcases and took the short walk to Buckingham Palace for the Trooping of the Colour. Our tallest student has the best cameral & got some great photos of the parade & the royals. Most of us worshipped at Westminster Abbey Sunday morning. You get in line at the gate & ushers ask your reason for visiting; if you just want to see the church, they send you around to the tourist entrance during the service. It was Pentecost, so extra impressive with all the red vestments. Sunday was rainy, but we took our planned River Thames boat tour to Greenwich anyway. The boat has both enclosed and open observation decks, so that was fine. We got a late start, though, and arrived at Greenwich just as all the museums were about to close, which was disappointing. We could have planned better, but we’re all still a bit tired. Today, the Tower of London, and things get serious. Oh WordPress, how I hope and wish that your mobile app would work well enough that I can use it for my travels! Stay tuned, friends and relations, to see how it all works out! For instance, just now you won’t let me upload a photo! That won’t do. We’ll work on it. More later. 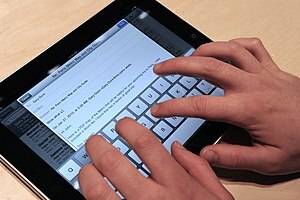 The WordPress app for iPad was one feature I particularly wanted to use. At first it was good, if not as good as the online version. Then a few months ago it just stopped working, right after I changed my password online. They just updated the app & it now allows me to log on again—just as the Great Buffy Rewatch starts season 2, tomorrow night. One thing this interface is not good for: inserting links. Does not do that. Writing is okay. ETA: links and to correct a spelling error courtesy of iPad auto-correct. If you missed it, I’m not telling you what it was. It’s been far too long since my last post. Mostly I have been teaching summer school all month, traveled a little, visited friends and family. Lived in two—or three, if you count my office—places at once for about two weeks, the last half of June, while waiting for my home air-conditioning to be repaired. I have moved a lot in my life, but that stretch epitomized discombobulation. 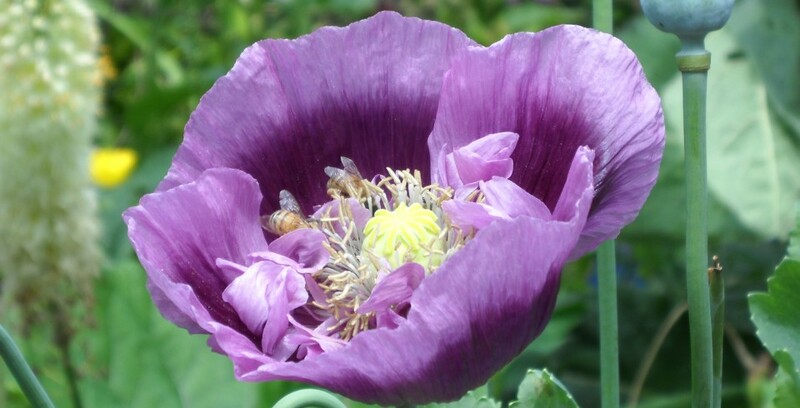 Note that I intend no lack of appreciation for the kind friends whose hospitality enabled me to survive at all! Birthday present? You’re seeing it—this post is being typed on my new iPad, thanks to extra income from summer school and contributions from my dad and sister. A mobile wireless device like this may not be a big deal to a reader who has been emailing/texting/blogging/ruling the world from your smartphone/net book/laptop/dark tower, but this is the first time I’ve owned something so light and versatile. Still figuring it out, but if all goes well, it should contribute to the success of the London study abroad trip next summer. This year, it was the Slayage Conference on the Whedonverses—Joss Whedon has created, written, produced, and/or directed so many different programs, movies, and comic books beyond Buffy that “Buffyverse” is an insufficient descriptor of his work, not to mention the many other people associated with it. Currently, if you go to the conference archive, it appears that all the previous conferences have been re-named to “conference on the Whedonverse,” but clicking on an individual link, reveals that the first conference (2004) was in fact, “The Slayage Conference on Buffy the Vampire Slayer,” in which Angel played only a minor role. This conference was in beautiful, historic St. Augustine, Florida, at Flagler College, built around 19th c. hotelier/industrialist Henry Flagler’s Hotel Ponce De Leon, where we had our Friday evening banquet. It is spectacular. Professors Jim & Tamara Wilson and their arrangements team did everything to make things run smoothly and to help us find our way around the college and the attractions of the town. SC4 held the first official meeting of the Whedon Studies Association, which (let’s admit it), sounds a lot more intimidating than “Buffy Studies,” though if a person were actually to encounter Buffy the Vampire Slayer, he might find her more terrifying than Joss Whedon. Or not—he can probably kill you with his brain. And finally, the really important different event of this year’s conference: the 2010 Slayage Journal award for “Buffy Studies” (which I’m sure will now be called “Whedon Studies” scholarship in book form, the “Mr. 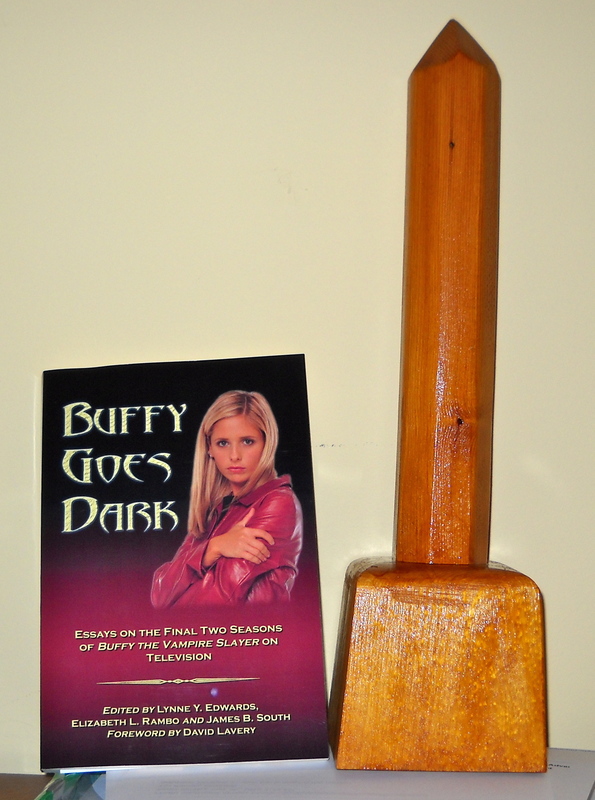 Pointy” award, went to Buffy Goes Dark: Essays on the Final Two Seasons of Buffy The Vampire Slayer on Television, co-edited by Lynne Y. Edwards, Elizabeth L. Rambo, and James B. South. Of course I'm sharing this with Lynne Edwards & James South! As shown in this photo, the Official Plaque of Fame hasn’t arrived yet. As soon as it does, I’ll glue it on and send the stake of glory on to Lynne and/or James to hold for a while. In fact, we must acknowledge that we really share the award with all those who wrote the essays that make it up. Several of them were nominated for the “Mr. Pointy–Short” award: Brandy Ryan for “‘It’s Complicated…Because of Tara’: History, Politics, and the Straight, White Male Author,” David Kociemba for “Understanding the Espensode,” Ira and Anne Shull for “The Candide of Sunnydale: Andrew Wells as Satire of Pop Culture and Marketing Trends,” and Rhonda Wilcox for “‘Set on This Earth Like a Bubble’: Word as Flesh in the Dark Seasons.” These and the other contributors (incl. David Lavery, who kindly wrote our Foreword) made the book what it is, and we couldn’t have done it without them. The other nominees were all excellent as well, and next year we should see more good stuff, if the books available and forthcoming at the conference were any indication. I’m especially looking forward to Buffy in the Classroom. It was all I could do to get that photo of BGD with Mr. Pointy—both of which obligingly stood still for me—but pop culture diva Jennifer Stuller at Ink-Stained Amazon has provided some lovely pics of presentations and historic Flagler locations including a link to some laughable footage of scholar-fans/fan-scholars singing—yikes! …perhaps this is where Lost—as groundbreaking as it is in showing the redemptive power of love—doesn’t go far enough when it comes to love’s power over death and evil. If I could write like Carmen, I would be very, very happy.